Swiss Tourism is the official helvetic organization in charge of promoting the growth of tourism in Switzerland, both nationally and internationally. With the goal of promoting Switzerland as a country for travel, vacations and congresses, Swiss Tourism carries out continuous actions to promote its destinations, which are intensified during the two key seasons: summer and winter. Switzerland is traditionally linked to winter tourism (thanks to its 7,400km of ski slopes), which is why one of the main goals of the organization is to promote the country as a family destination during the summer season. Since 2011, Cyberclick has taken on the responsibility of supporting the campaign with the aim of increasing the number of visits to the organization’s website. During May and June of 2015, a Display campaign was activated, through both rich media and more traditional forms of banners. In order to assure the quality of the traffic, a network of premium websites from the travel sector were selected, including webpages such as Via Michelin, National Geographic and Around Me. At the same time, a Content Advertising campaign was initiated, through which destinations with high potential for tourism were promoted (Geneva, Fribourg and Lucerne, among others). Through this channel, we were able to capture the attention of users who do not respond to standard forms of advertising such as banners, but who found themselves pulled in by the quality content that the brand offers regarding its destinations. Furthermore, these are related to the section and/or article the user is reading at the time, and as such is nonintrusive. RESULTS:The Display campaign attracted over 17,000 visits to Swiss Tourism’s website. Through the Content Advertising links, 52,300 visits were generated in two months, with over 80% of these being new users. Of over 30 titles which were tested, related to the various destinations, “Be impressed by the Cathedral of Fribourg” spiked particular interest among readers, achieving a CTR of 0.32%. 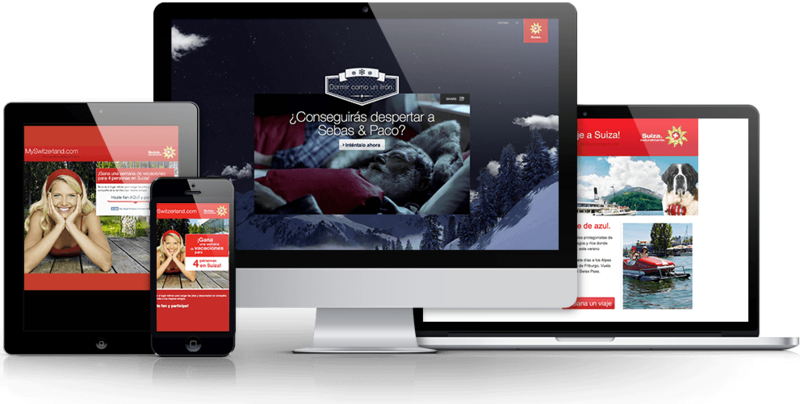 In November 2015, Swiss Tourism decided to reinforce their actions for their winter tourism with a branding campaign #inLOVEwithSWITZERLAND, in which several elite spanish athletes collaborated. Cyberclick worked on another Content Advertising campaign to attract quality traffic to the articles on their website www.myswitzerland.com, which gave information about Switzerland’s winter destinations and the available activities. Over 15 articles were selected about Murren, Les Diablerets, Zermatt, Saas-Fee… and original titles were written for each one to maximize the propagation. 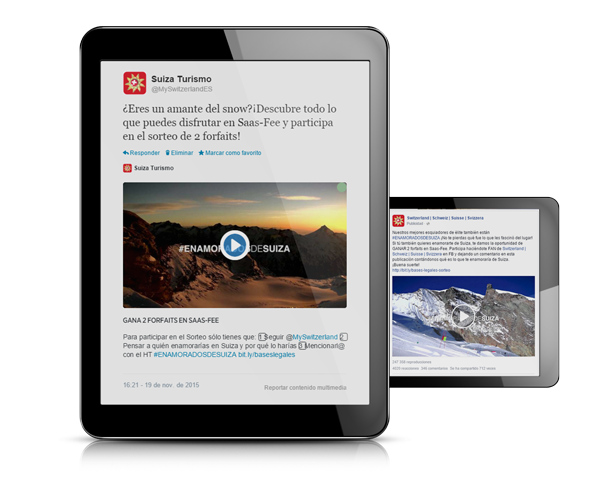 In support of the Spanish #inLOVEwithSWITZERLAND campaign, a giveaway was organized on the organization’s social profiles (Facebook and Twitter), with the objective of increasing the number of followers on both platforms. The promoted posts included videos of elite athletes, who explained what most made them fall “in love” with the country. Several types of promoted posts and messages were activated to identify which videos were most successful in terms of followers and interactions. The articles included in the Content Ads campaign obtained more than 50,000 visits. The article that generated most traffic (50% of the total traffic) was “Get to know Zermatt, the village located at the foot of the most famous mountain in the world”, which reached a CTR of 0.22%. The amount of time spent by users on the site was increased by over 10 seconds, and the articles that maintained users on the site for around a minute and a half were promoted (Interlaken, San Mauricio y Saas-Fee). 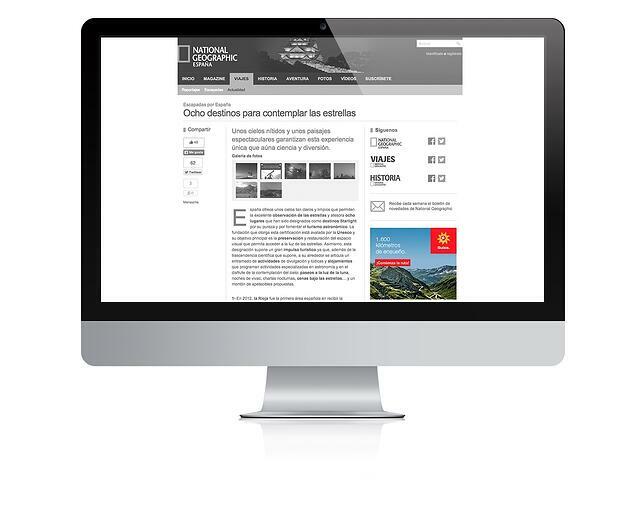 The visitors came from highly important national websites such as El País, La Vanguardia, ABC and Mundo Desportivo; implicitly boosting the positioning and reputation of Swiss Tourism’s brand. During the Facebook Ads campaign, 820 new followers were obtained over a short period of time. 4 posts were published which impacted 825,395 users, 37% of which reacted at least one of the possible ways (likes, shares, video playbacks, etc.). The videos were viewed over 320,000 times, noticeably helping to increase the engagement with the brand. On Twitter we measured 44,137 video playbacks, which represented a multimedia playback rate of 8.55%.